This goes without saying, but one of the best ways to celebrate Cinco de Mayo is to indulge in some Mexican food. 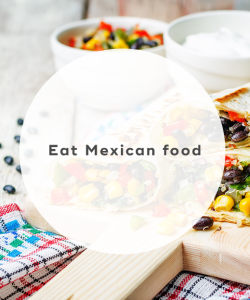 There is a ton of variety to choose from when it comes to Mexican food. You can try burritos, chimichangas, tacos, tostadas, and quesadillas. Stop by some authentic Mexican restaurants in your city and try out a new dish. 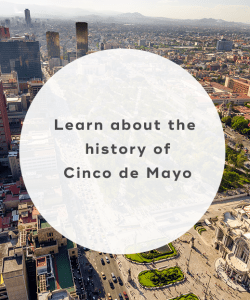 Contrary to popular belief, Cinco de Mayo isn't to commemorate Mexico's independence. It's actually to celebrate the victory of the Mexican army over the French in 1862. Because Mexico had a smaller army at the time compared to France, they were considered an underdog. But miraculously Mexico was able to defeat France. People in Puebla, Mexico gather each year to celebrate this victory since that's where the battle occurred. 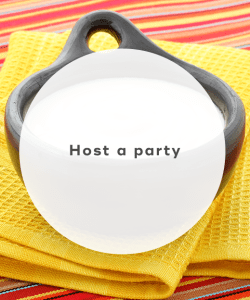 You can easily celebrate Cinco de Mayo with your friends and family by hosting a party. 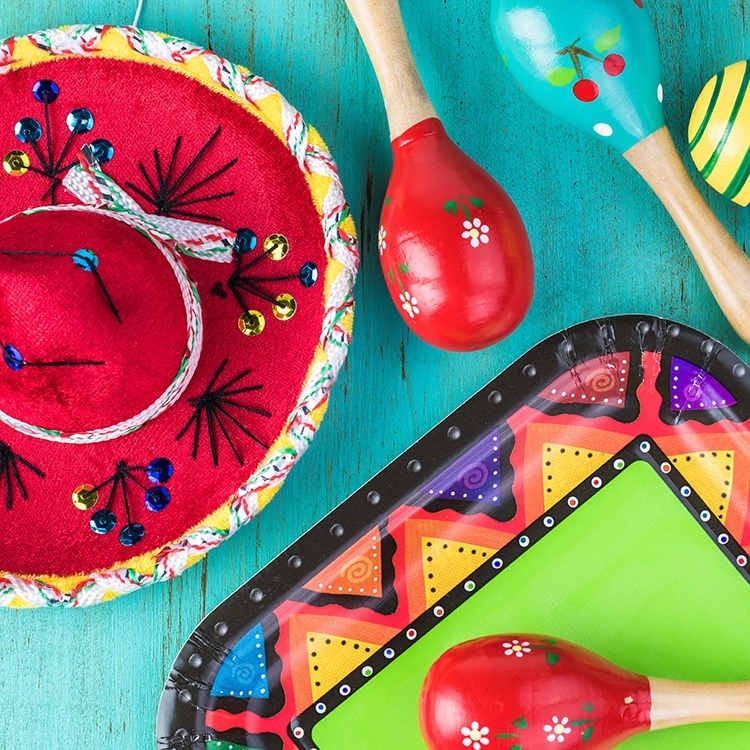 Cinco de Mayo is actually more widely celebrated in the U.S. than it is in Mexico. You can cook some easy and tasty Mexican food and make some delicious margaritas. You can also buy some pinatas, which are a traditional part of Mexican celebrations. They make for a fun group activity where participants are blindfolded, spun around, and given a stick to strike the pinata to release treats inside. Mexican music is super upbeat, which is perfect for celebrating Cinco de Mayo. 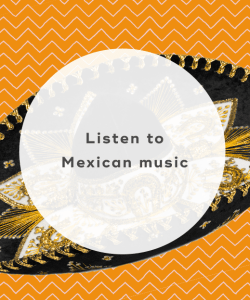 Search for traditional Mexican music, such as Ranchera, Norteno, Grupero, Tejano, and Mariachi. You can also listen to contemporary Mexican bands like Selena. Many large U.S. cities host Cinco de Mayo festivals and parades each year. Check out any festivities going on in your city -- most will feature delicious, authentic foods and drinks as well as entertainment. No matter how you decide to celebrate Cinco de Mayo, remember to be respectful. You should avoid wearing fake mustaches, sombreros, or serapes. Also, make sure not to perpetuate any negative stereotypes. Cinco de Mayo is about having fun with your friends and family. 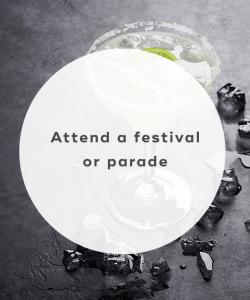 Whether you decide to host a party at home, venture to an authentic Mexican restaurant, or attend a Cinco de Mayo festival or parade, you're sure to have a blast! Be sure to try out some new foods and drinks this year! "5 Ways to Celebrate Cinco de Mayo," Ding, May, 2015. "What is Cinco de Mayo?," Independent, May 5, 2017. "What to Really Eat on Cinco de Mayo," Smithsonian, May 3, 2013.